A bit of a Throwback Tuesday if you will. I took this photo back at the end of May and never shared it. This crimson painted covered bridge is the Shimanek Bridge in Linn County, with crosses Thomas Creek just outside of Scio, Oregon. Built in 1968, It is the newest and longest of the bridges on the Covered Bridge Tour that I visited then, and was the only one that was not painted white. I love the ox blood colour of the bridge. Do you know why they are covered? 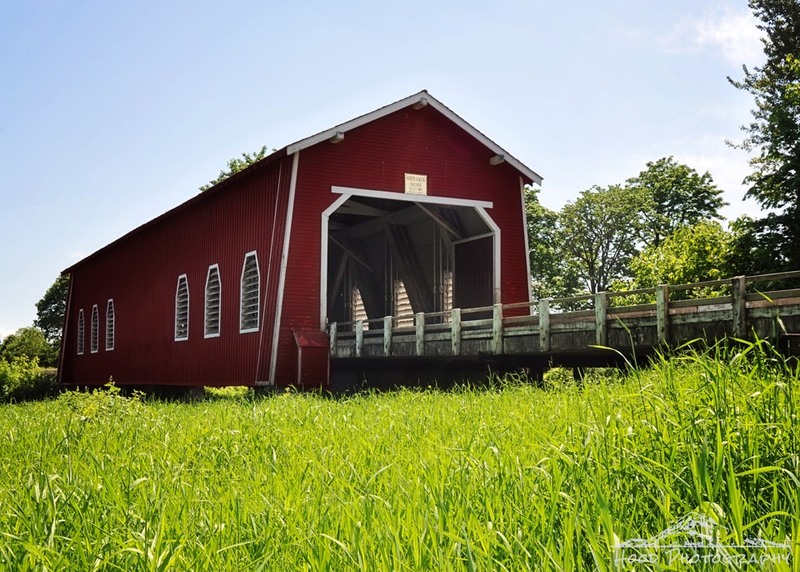 There's an eerie charm in these covered bridges. I always connect with the movie "Harvest Home" when I see one. Lovely photo. I haven't seen a covered bridge for years, not since I lived in New England. Glorious! Beautiful composition and color contrast. wonderful capture. covered bridges are great. we have lots in Pa.
A covered bridge is always a welcome sight. This one's beautiful.